These two ladies do not just share friendship but also their children's clothes. The two friends who have become practically family over the years decided that this development means their children are siblings and can share their clothes. Hoda Kotb and Jenna Bush both think it is adorable that little Haley Joy is wearing the hand me down of Poppy. The two who co-host the Today Show spoke about it on their show on Thursday; they said it is what they do now and Poppy, Jenna Bush's daughter, even recognized her dress on Haley Joy in an Instagram video. 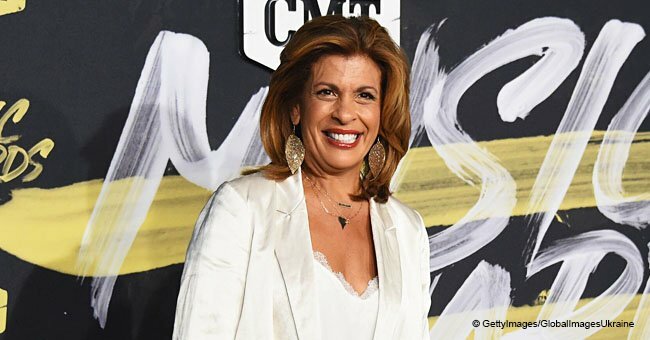 “That's what I love about Jenna, she shows up with a grocery bag, paper, full of- there's like one shoe in there, some clothes,” - Hoda said on the show. “Some of it is good! I love a hand me down!” Jenna asserted. Jenna lost both her grandparents; George H.W. Bush and Barbara Bush last year after. Although their death was a painful one, the granddaughter shared an emotional tribute where she mentioned she is happy they are both "back together." It seems like through all the sadness; the host found a silver lining with her loved ones. The best friends are known to frequently share adorable clips of their daughters on their respective Instagram pages. In one of the recent videos Hoda posted on Instagram of Haley dancing to Kim Richey’s Chineses Boxes, the young girl was rocking one of her hand me down stripe shirts. Jenna was watching the video when her two daughters; Poppy, 3 and her sister Mila, 5 heard and said they also wanted to see the video. The mother restarted the clip and showed it to her kids; and Poppy goes, ‘Poppy's dress!’” Jenna recalled the scene at home to the audience. It was a lovely white and navy striped shirt with what looked like pink embroidered flowers by the side of the shirt. The shirt was so beautiful, Hoda had to make a video of Haley Joy dancing in it. Jenna and Hoda were shocked that she would remember her shirt. 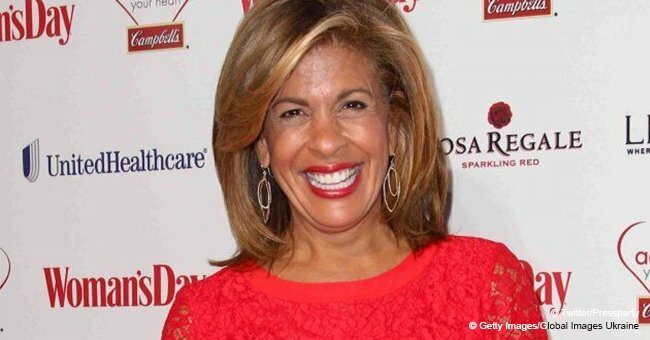 “how did she remember” Hoda wondered out loud. Siblings are known to wear clothes passed down from their elder ones, and this rule works for families; even those who got there through friendship. However, it is impossible to deny how cute and gorgeous Haley Joy looked in that hand me down. The mothers both share a bond and chemistry which can not be denied by anyone who has ever watched them; its only natural their children are equally close.